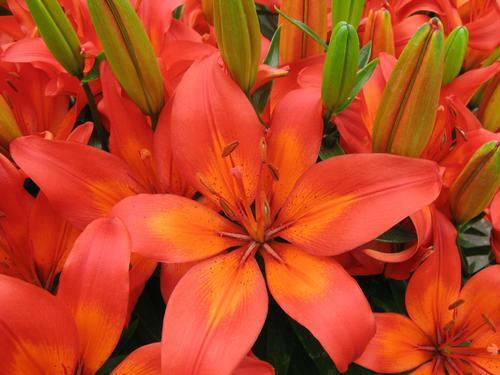 Fiery red with orange brushmark in the center, produces 3-5 flowers per stem, 65 days to force. Shorter growing varieties with upward facing, medium-sized flowers. Excellent for containers and good for perennializing as well. Plant 1 per quart; 3 per gallon.